Summertime is all about fun in the sun, vacations, water parks and family cook outs, but these 5-year-olds added another page to their summer list of fun. 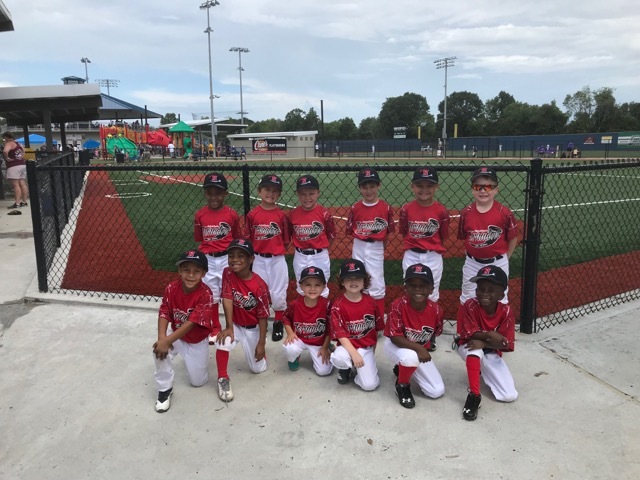 With coaches Akilah Issac and Aqunette Morris, the mini-all-stars of Natchitoches traveled last weekend to compete in the All-Star tournament in Lafayette at St. Julien Ball Park. The youngest and smallest team in the tournament, the Tornadoes showed up ready to play with the big boys. On front row from left are Daylon Robinson, Victor Holden, Jayce LaGrange, Emerson Mercotte, Ezekiel Ware and Danny Martin. On back row are Ricky Issac III, Heath Methvin, J.T. Morgan, Jackson Dawson, Lawson Brown and Sawyer Morgan.